Spring is here. Which means the arrival of more metal releases to help cancel out the sounds of the birds chirping at four AM. So, without further delay, here’s another set of six highly recommended new metal and hard rock records, that you should give a spin about. Orchid: The Mouths of Madness. If you love metal, then you are probably a Black Sabbath fan of at least one or more era’s of the bands existence. Ozzy, Dio, Gillan, I love it all. 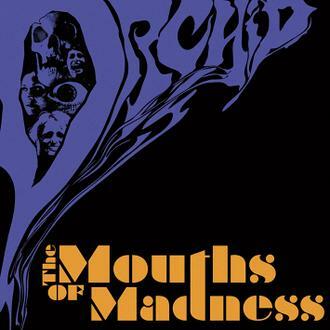 And if you’re banging your head in agreement to that last statement, you will love “The Mouths of Madness“, the latest record from San Fransisco doom band Orchid. I know it sounds impossible, but Orchid sounds more like Black Sabbath, than Black Sabbath does. Madness is the bands second full-length release, and while it’s nearly impossible to pick a favorite, the last track, Wizard of War might be it for me. It is impossible to not dig on Madness’ powerful LSD-laced rock, and Theo Mindell’s soaring, vintage sounding vocals. Doom rock awaits you! 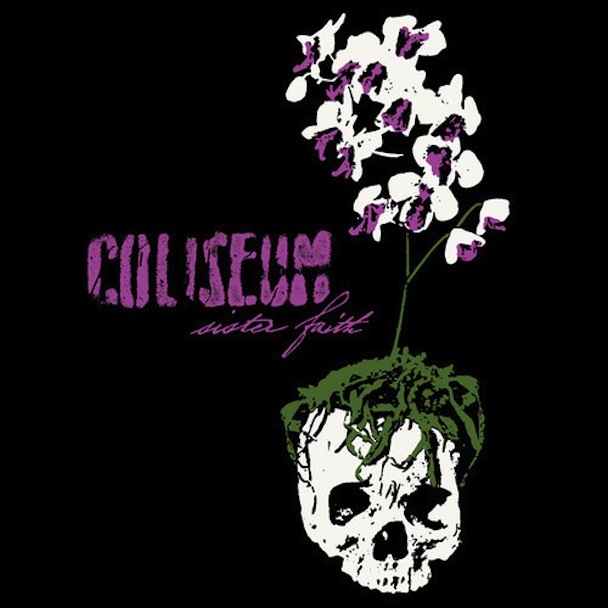 Sister Faith is the fourth record from Louisville band Coliseum. Released on April 30th by Temporary Residence, Faith is full of feedback, tight percussion, and a surprisingly clean metal sound. A beautiful and big sounding record, Faith quickly gets it’s riffy hooks into you, and never lets go. Among Faith’s many musical contributors, is Jason Loewenstein of indie cult band Sebadoh, and The Fiery Furnaces. Even if you’re not the most fist-pumping metalhead on your block, after listening to Sister Faith, you’ll likely be prompted to dig through the bands decade old back catalog, and filling some of the holes in your ever growing record library with other Coliseum releases. How black and dark do you like your metal? If you answered “very” to either or both of those questions, then Rhode Island band Howl is going to shake your doom-maker to it’s core. Out on April 30th on Relapse Records, Bloodlines is the bands sophomore record. 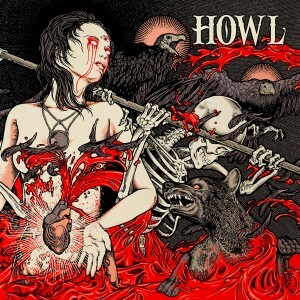 Now, I’m not the biggest fan of metal fit for the apocalypse, but Howl thrashed me over while I listened to it on a cold, spring day last weekend. In Bloodlines press release, the band describes the records sound as “the child of sweet southern riffs with “primal urgency”. Sold. Swedish heavy metal band, Ghost formed in Linkoping back in 2008, and has built a substantial cult following over the last five years. Although at times the bands second record, Infestisumam, had me scratching my heavy metal hair, I wasn’t able to stop listening to it. The band dresses like netherworld church figures on stage, and their music reflects that with it’s sound. 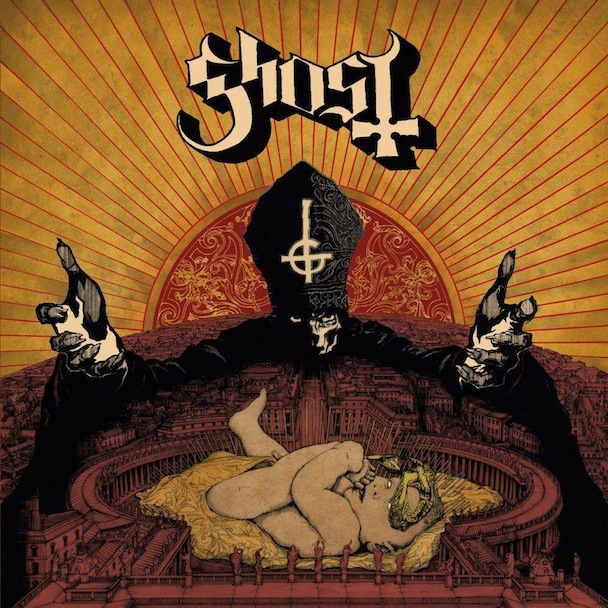 So what does black mass sound like at The Church of Ghost? It’s a wide variety of anti-alterboy music infused with organs, crashing percussion, chanting about Lucifer, airy vocals, and buzzy guitars. The records strange likeability is also likely due to the incredible production by Nick Raskulinecz (Deftones, Alice in Chains, Foo Fighters, Velvet Revolver). Infestisumam is the bands first major label release (Universal off shoot, and current home to Soundgarden and Cut Copy, Loma Vista) but despite that milestone, Ghost isn’t for everyone. Still, my money is on the fact that Ghost just might give you something you didn’t even know you were looking for. 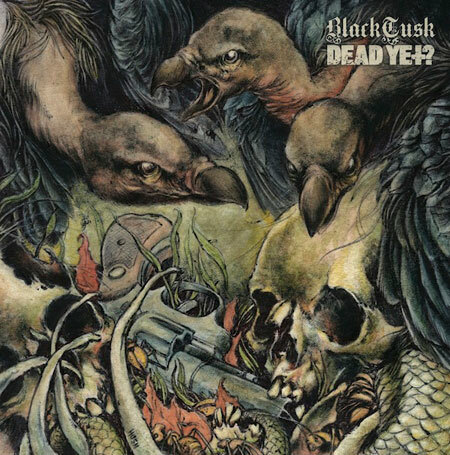 Black Tusk 7″ split with Dead Yet?. Two new Black Tusk tracks make their debut on a 7-inch split with fellow Savanna metal band, Dead Yet?. Out now via Hyperalist Records, Black Tusk is readying a new EP for release on July 23. Both tracks, “Fearing Your Mind” and “Iron Giants” are standout heavies. In a recent interview, Black Tusk guitarist Andrew Fidler says that the bands music really doesn’t have a distinct message, but rather many collective ones. According to Fidler, much of the bands music deals with “the shortcomings of our fellow man, or their own, as well as religion, and control. But of course some of it is about partying, but in an “apocalyptic sense.” And since I know you’re still scratching your hair, wondering how a metal band from Savanna is actually a thing. Fidler confirms what you’re assuming. The music scene in Savanna is dead. While profoundly sad, it is perhaps the desire to fill that void that drives the band, who’s sludgy stoner rock vibe has been hammering it’s way along for the last 13 years. I was lucky enough to catch Black Tusk live last week, and am happy to report that much like the trios music, they show no signs of slowing down. 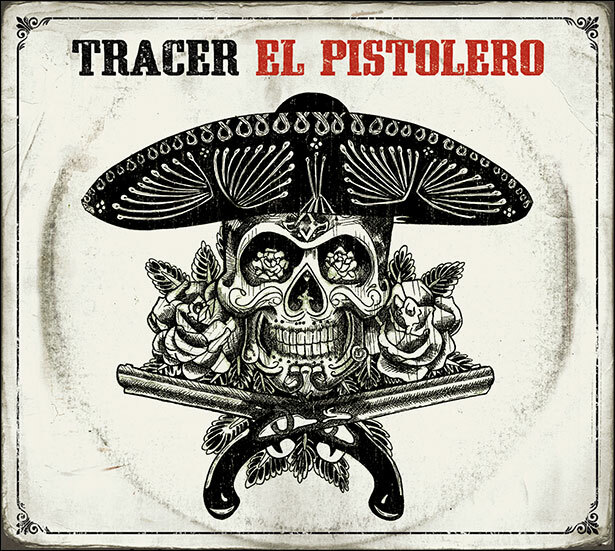 It took about five seconds for me to fall in love with UK band Tracer, and their new record, El Pistolero. After listening to the entire thing, color me completely obsessed with the band and their grungy guitar rock. El Pistolero has legitimate vintage metal sound to it, (think Scorpions/Dio), but also possesses plenty of 1990’s NW throwback appeal. And if that’s not enough, as the album title would imply, Tracer throws in a little tex-mex-metal for good measure. With 13 tracks in all, you definitely get your metal money’s worth on this one. Out on Netherlands based label, Mascot.